two ‘geofizzing’ students, a snow covered Castle Hill, a sweeping digger in the snow, a frosty Grimspound, a Lewis chess piece, and a snow capped Avebury. This photo was submitted by Paul Adams our ultimate competition winner, but it was such a great image of Silbury Hill we had to include this in our 12 days of Christmas as well. 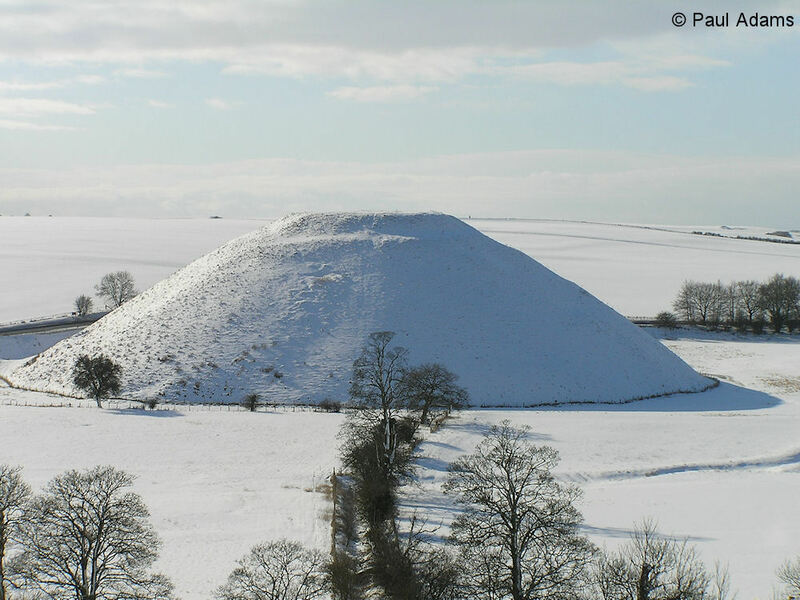 If you want to find out more about Silbury Hill, the digital archive for the Silbury Hill Conservation Project contains data created over 12 years from a desk-based assessment in 2000 to the recent remedial works in 2007/2008. a snow covered Castle Hill, a sweeping digger in the snow, a frosty Grimspound, a Lewis chess piece, and a snow capped Avebury. 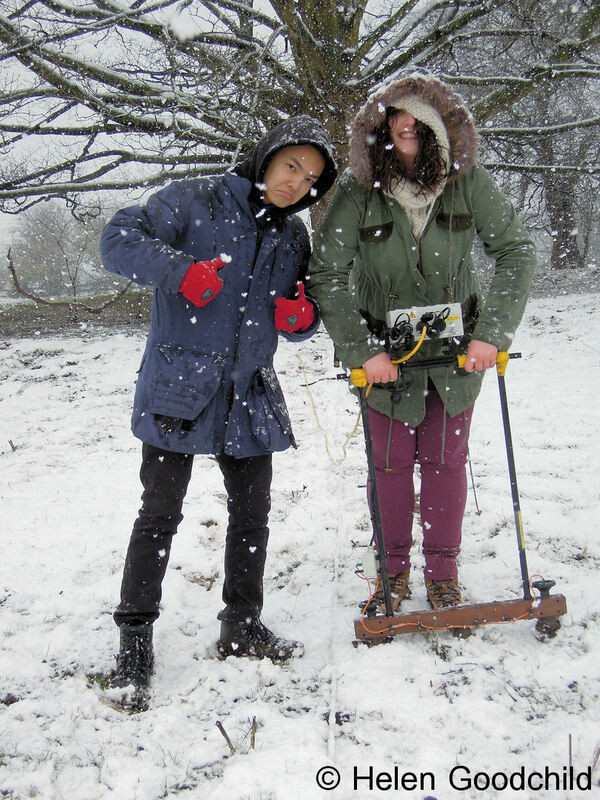 Helen Goodchild submitted this photo of two University of York students carrying out geophysical survey training in the snow. Dedicated or what! Geophysics is a fabulous non-destructive tool in the archaeologist’s toolkit. See Brown at al. Making Place for a Viking Fortress for an archaeological and geophysical reassessment of the Viking settlement at Aggersborg, Denmark. ADS also hosts English Heritage’s Geophysical Survey Database. The English Heritage Geophysical Survey Database was created in 1995 to provide a publically accessible index of all the geophysical surveys of archaeological sites undertaken by English Heritage. So why not see if a survey has been carried out on a site near you! a sweeping digger in the snow, a frosty Grimspound, a Lewis chess piece, and a snow capped Avebury. Jason Dodds the HER Officer at West Yorkshire Archaeology Advisory Service (WYAAS) submitted this photo of Castle Hill situated in Almondbury, south of Huddersfield. © WYAAS. The monument includes the remains of a late Bronze Age or Early Iron Age univalate hillfort, a later Iron Age multivalate hillfort, a twelfth century motte and bailey castle and (as has been suggested) the site of a deserted medieval village, although this is now doubtful. Evidence for occupation and development of the site comes from a series of partial excavations carried out by W.J. Varley between 1939 and 1973. 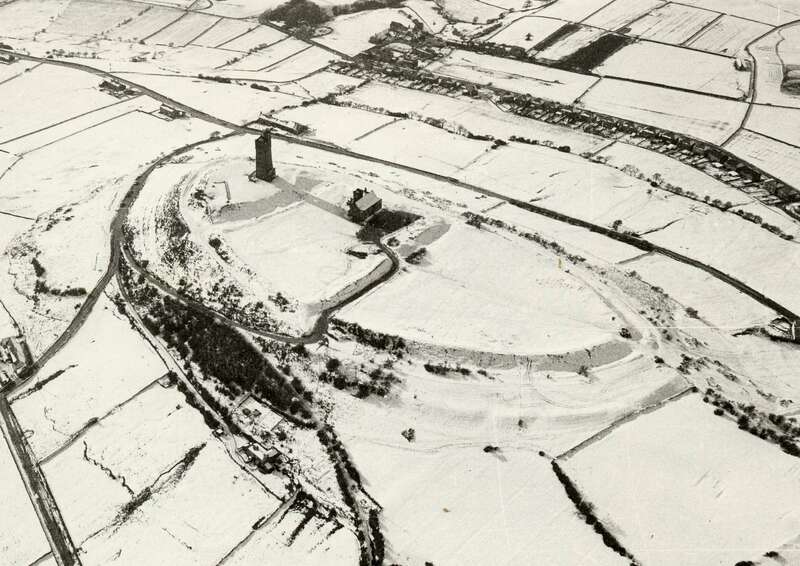 You can find out more about Castle Hill in the West Yorkshire Archaeological Service Geophysical Survey Archive which includes the survey report, and the gradiometer data files. And if castles are you thing you might like to check out the Norwich, Castle Mall archive by the Norfolk Archaeological Unit. a frosty Grimspound, a Lewis chess piece, and a snow capped Avebury. 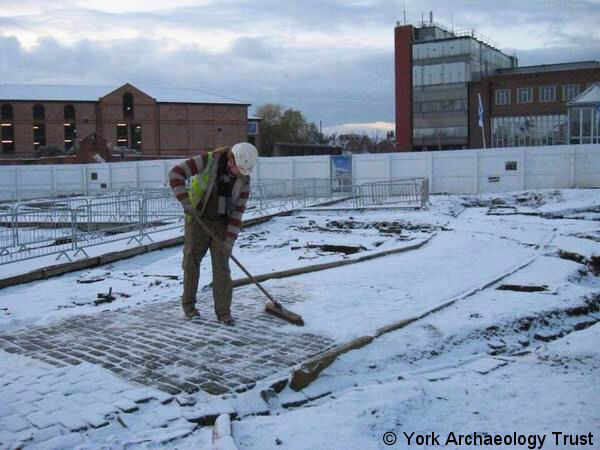 Find out more about finds from York in York – Coppergate and York – Fishergate from J.D. Richards et al. 2009 ‘Anglo-Saxon Landscape and Economy: using portable antiquities to study Anglo-Saxon and Viking Age England‘, Internet Archaeology 25. The excellent preservation of archaeological remains in the Hungate area of York is well known. Why not find out more about some of the well preserved finds in ‘Leather and Leatherworking in Anglo-Scandinavian and Medieval York’ in the York Archaeological Trusts Fasicules archive. a Lewis chess piece, and a snow capped Avebury. 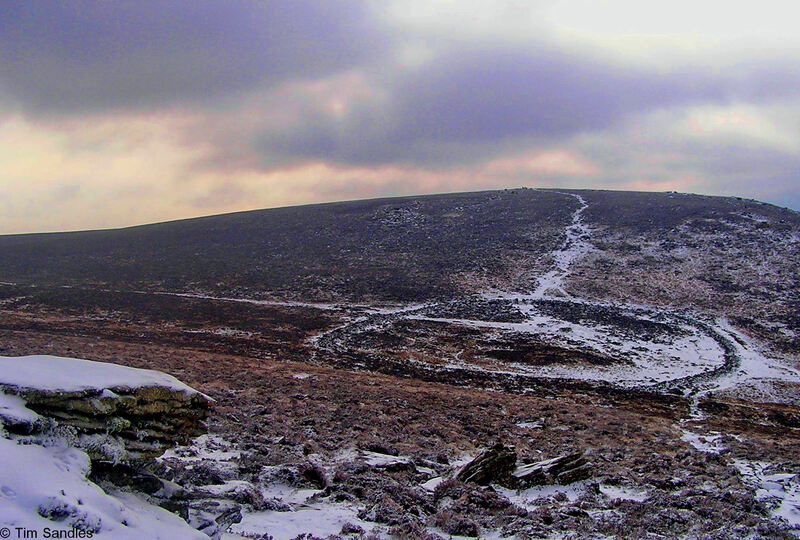 Tim Sandles is the second of two runners up to receive a special edition trowel USB memory stick with this lovely frosty photo of the Bronze Age settlement called Grimspound on Dartmoor. There are Bronze age settlements all over the uplands of the British Isles. See E. Ghey et al. Characterising the Welsh Roundhouse: chronology, inhabitation and landscape in Internet Archaeology 23 for a detailed study of similar types of site in Wales. Or take a look at Cotswald Archaeology’s Hartshill, Berkshire archive which identifies evidence for a late Bronze Age and Early Iron Age settlement, including a large ditched enclosure. The late Bronze Age contexts from this site have yielded substantial amounts of iron working residue – evidence of the earliest ironworking yet known in Britain. and a snow capped Avebury. Dig It! 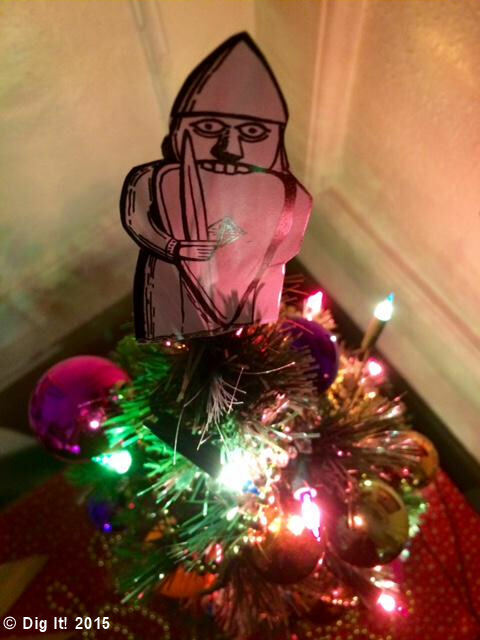 2015 was one of our two runners up to receive a special edition trowel USB stick with this innovative archaeological themed Christmas tree topper, a rook from the 12th Century Lewis Chessmen. Find out more about the landscape of Lewis and the Outer Hebrides in Vernacular Buildings of the Outer Hebrides 300 BC-AD 1930: Temporal comparison using archaeological analysis by George F Geddes in Internet Archaeology 19. Paul Adams is the winner of our #festivearchaeology competition with this excellent photo of Avebury. As the winner of our competition Paul has been sent a special edition trowel USB memory stick and a copy of Working in Archaeology photography book. Congratulations Paul! If you like this image of Avebury why not take a look at the HMJ Underhill Archive which contains some excellent hand-painted 19th century lantern slides of Avebury and other famous British stone circles. Or you could read Digital Avebury: New ‘Avenues’ of Research by Simon R. Davies in Internet Archaeology 27. As part of the Archaeology Data Service and Internet Archaeology’s #festivearchaeology Christmas Archaeology Photo Competition, we will be publishing a Christmas themed archaeology photo every day for the 12 days of Christmas. 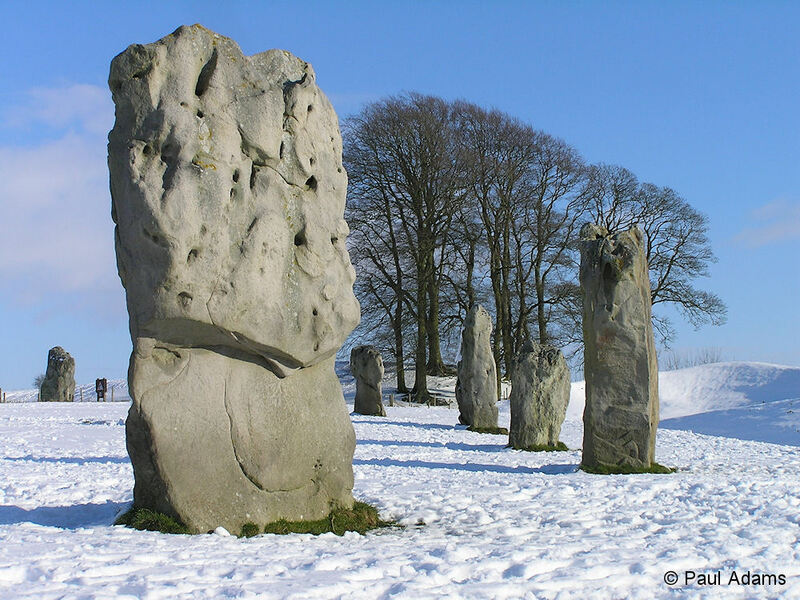 From snow-covered henges, to Christmas jumper clad archaeologists and archaeology themed Christmas tree toppers, stay tuned to see our 12 days of Christmas. We will be starting with the winning photo from Paul Adams, who will be receiving a special edition trowel usb stick in his stocking this year. The winning photo will be posted on Christmas Day and you can see a sneak preview in the ADS e-newsletter. To sign up for the newsletter contact email help@archaeologydataservice.ac.uk. The following 12 days will feature photos from Dig It 2015, Archaeology Live, Wessex Archaeology Scotland, Massimo Brando, Helen Goodchild, Tim Sandles, Spencer Carter, Jason Dodds & WYAAS, Frank Scott, and Viki Le Quelenec. Follow our #festivearchaeology here on the Soundbytes blog, or on Twitter and Facebook to find out which photo features each day. As part of the NEARCH project a call for proposals was published in spring 2014 by the Paris CENTQUATRE– and Jan van Eyck Academie for 10 artist residencies. Nearly 500 applications were received in total and carefully considered by the selection committee composed of the different partners involved in the implementation of these future residencies. 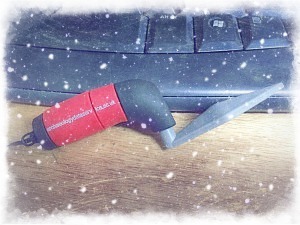 Our USB trowels are special and snowy ! The Archaeology Data Service and Internet Archaeology and are giving away one of our fabulous and rare trowel-shaped USB sticks in December. To be in with a chance to win, send us your Christmas themed archaeology photos. From snow-covered Roman Forts to Christmas jumper clad diggers, anything goes! Photographs must be your copyright. The winning photographer will receive a USB trowel, and the winning photo will also be published in pride of place in the Christmas issue of the ADS e-newsletter (with attribution). A further eleven runners-up will also feature in our ’12 days of Christmas cheer’ posts both on the ADS and the Internet Archaeology social media accounts. Competition closes at 12 noon on Monday15th December 2014. Please use the hash tag #festivearchaeology and don’t forget to Like and Follow us too! The prize winning image may be cropped to correctly fit the e-newsletter format. By submitting your photos to the competition you are providing the ADS and Internet Archaeology permission to distribute your image via our social media accounts.